Dealing with a problem related to the care of a loved one, or with your own care, can be very distressing. But our guide can help you understand your rights. What funding am I entitled to for long term care? How do I challenge a local authority or NHS care assessment? Dealing with unsatisfactory care and making a complaint can be a daunting task, especially if you are worried about the care of a relative. It's important to remember that you have a right to expect certain standards of care, and a right to complain if things aren't right. Quality of personal care Is your relative washed and in clean clothes? Is the home clean and tidy? Toileting Has the commode been emptied and cleaned thoroughly? Appropriate behaviour of staff Are the carers treating your relative appropriately? General happiness Does your relative seem happy with the care they receive? If the answer to any of these questions is no, it is likely that you have grounds to complain and seek redress. 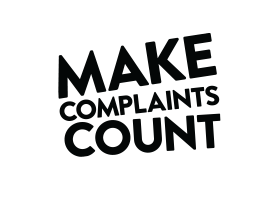 For more information on how to spot unsatisfactory care and how to make a complaint, visit the Which? Later Life Care website. The making a complaint section provides step-by-step information for the care of older people. Although primarily aimed at caring for older people, it's also relevant for working age adults with a disability.